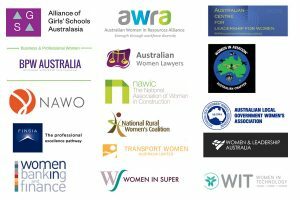 Responding to the unacceptably slow pace of change towards gender equality in Australia, leading organizations, which represent over 500,000 women in the workplace, have come together to form the Australian Gender Equality Council (AGEC), a national not-for-profit organization. AGEC’s vision is simple – to achieve gender equality in Australia. Through high profile national awareness campaigns, advocacy and research, it aims to drive a cultural shift in Australia so that women and men have the same rights and opportunities across all sectors of the community. We believe that gender equality will be achieved when the different behaviours, aspirations and needs of women and men are equally valued, respected and are manifest in Australian society. AGEC’s founding members collectively represent over 500,000 women and girls. To raise awareness of the impact upon gender equality of policy and legislation. In the opinion of the board, has demonstrated a commitment to gender equality in paid and unpaid work and is supportive of the objects of the company.